Vicinity Pools is a new and unique service provider based in Brisbane and services the Eastern Suburbs and the Brisbane Bayside area. Specialising not only in all pool services but also chemical balancing and complete cleaning of your pool to ensure it sparkles for all the family & friends to enjoy. We also fix leaks, piping & plumbing and repair or replace equipment where needed. What makes us unique is that we go the extra step to completing the look of your pool with light gardening and removing all debris to avoid pool blockage after a service clean. 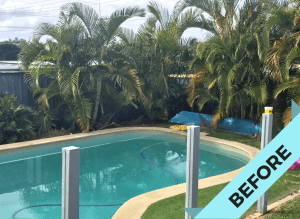 Overgrown palms and weeds really do have an effect on your pool and the look of your property. If tiles surround your pool, we can also help remove any dirt and stubborn stains that have dulled the tile surface over time with our trusted line of Gerni High-Pressure Cleaners. All of our services at Vicinity Pools are intended to have your pool and the surrounding area looking clean and complete, ready to swim in and enjoyed the way it should be. There is no job to small and all at competitive prices. Vicinity Pools services Brisbane Eastern Suburbs and all Brisbane Bayside areas. 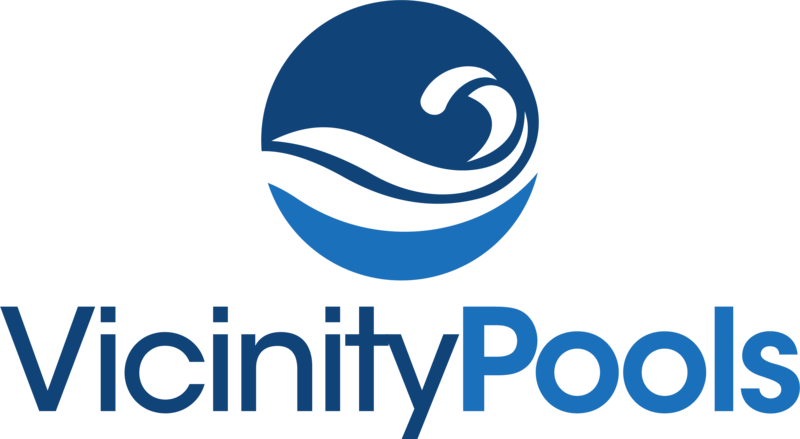 At Vicinity Pools, we provide an extensive range of services to suit every pool size and budget. We source only the best products and equipment in the industry which include filters, chlorinators, pumps, robot cleaners, hose cleaners, heat pumps and everyday pool equipment. We also offer weekly, fortnightly, monthly and bi-monthly regular servicing on your pool. Rest assured that our staff are fully qualified and certified to provide you with quality service for all your swimming pool needs. If what you're looking for is not on service our list, give us a call and we will customize a service plan for you! A complete pool maintenance service involves inspection of all pool equipment to ensure full functionality and no visible problems or leaks. Your filter needs regular backwashing and cleaning so that the particles filtration system continue to work efficiently and keep your pool water crystal clear. All baskets are emptied of debris and checked for any splits which may cause loose debris to enter the pump motor. We also make sure the pool is clean and balanced by vacuuming and scooping of loose debris in the water or on the surface. If you’ve never owned a swimming pool before, this service can educate you on the benefits of pool maintenance and provide the right advice you need to looking after your pool equipment. Pools are not always easy but having the basic tutorial on how a pool operates is a must! Knowing the right information and skills will save you time and money. We can also empty your pool and clean the surface upon request using our Gerni equipment. Whether you've just purchased a new property or if your pool has been filled with 20-30 years of the same water, it is always important to periodically have your pool emptied and refilled with fresh supply to avoid green water, reduced salt level or changes to a magnesium pool. Once filled, your pool will be balanced and brought back to the correct chemistry. 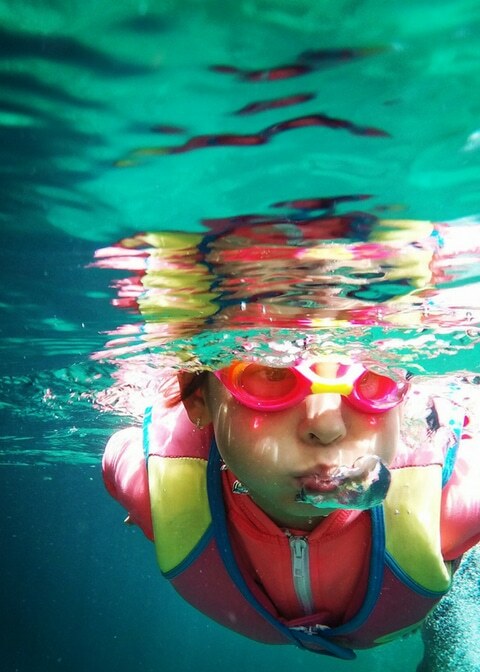 Using pool water testing kits, your water will be be chemically tested and balance adjusted to suit the equipment, swimming and climate for your pool. Balancing your pool water condition is crucial to keeping your water safe to swim in. No matter what the equipment is, it is always safer getting an experienced professional to have it installed or repaired for you. Attempting to install or repair a pool equipment yourself could risk major damage or void any product warranties and will end up costing you more than just a simple repair fee. Whether it’s a pump, chlorinator, filter or cleaner - We do the whole lot! If you are a landlord, tenant or just looking to get an inspection done on an existing pool before finalizing a property settlement, then this service has been designed for you. 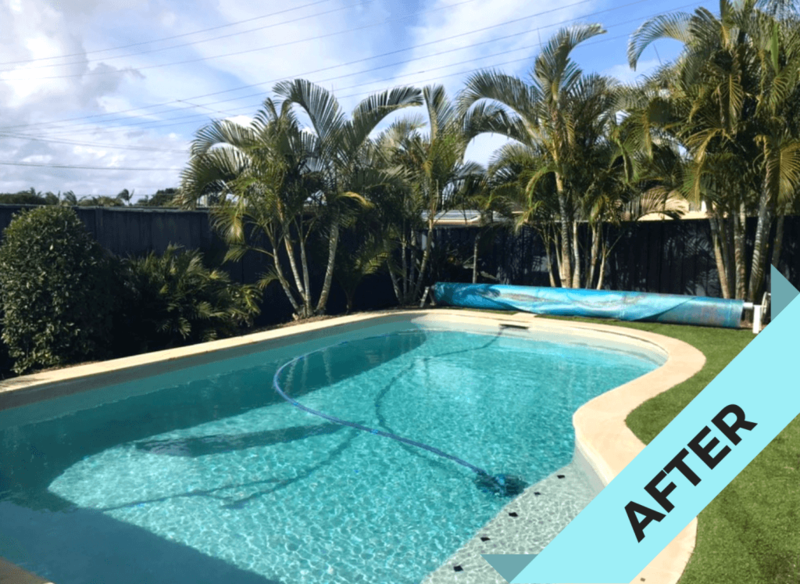 Ensuring your pool is looked after and stays operational to a high standard, we can make the entire process smooth and easy by providing regular servicing of your pool and surrounding area. Inspections can also save you time and money, making sure you know what is operational and what's not! Heading on a long holiday or already sipping margaritas by the beach? We can look after your pool while you're away! Nobody wants to come home to an overgrown garden and a leaves clogged pool. Let us give you that piece of mind knowing that there are professional technicians checking and maintaining your pool on a weekly, fortnightly, or monthly basis. We can also provide a light gardening service upon request for swimming pools with a surrounding landscape. A freshly trimmed landscape will accentuate and complement your newly cleaned pool and get it ready for those summer pool parties. Our extensive list of services also includes the use of Gerni high pressure cleaners for those stubborn stains. Sometimes, older pools need more care and attention especially if they've been left unserviced for a long period of time. A thorough Gerni clean can make your pool surface and tiles look spanking brand new again with the right care given. 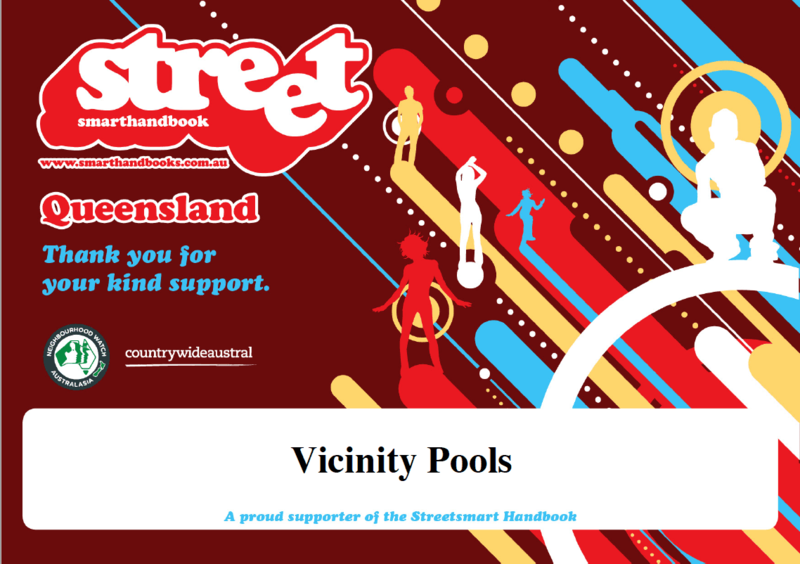 Vicinity Pools is a proud supporter of the Streetsmart Handbook in Queensland, which helps educate teenagers on subjects such as cyber bullying, depression, social behaviour in the community and the dangers of drugs and alcohol. Streetsmart Handbook is an official publication of Neighbourhood Watch Australasia and works with your Local Police and community to bring people together to create a safe, connected and inclusive community. Have a question about our pool cleaning services or want to receive a free quote? We service the Brisbane Eastern Suburbs & Brisbane Bayside Area.